? GREAT NON-SLIP EFFECT ? Double-sided 16 skid-proof nails on the surface of road bike pedals, provide enough friction and adhesion force to prevent from skidding. 16 skid-proof nails enhance non-slip effect, make you adapt better to wild bike competitions and other activities. ? 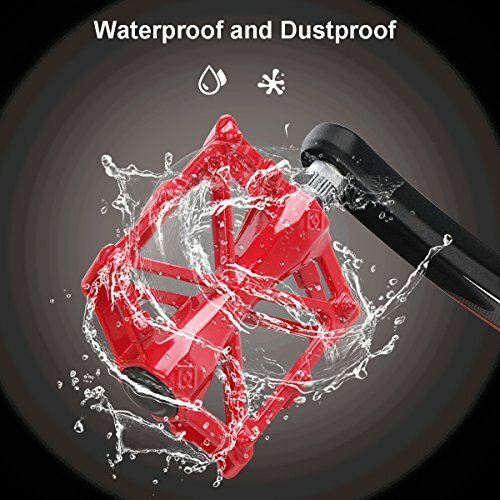 WATER PROOF AND DUST PROOF ? The platform pedals spindle was completed sealed to prevents water and dust from entering. Offering best protection for the interior and effectively prolonging the lifespan of the bicycle pedal. ? LIGHTWEIGHT AND COMFORTABLE FOOTREST ? 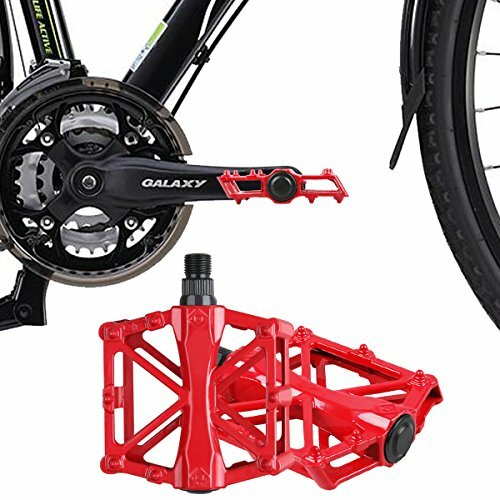 The mountain bike pedals use high-strength aluminum alloy material with hollow-carved design to make the pedals feature lighter weight and durability at the meantime. ? 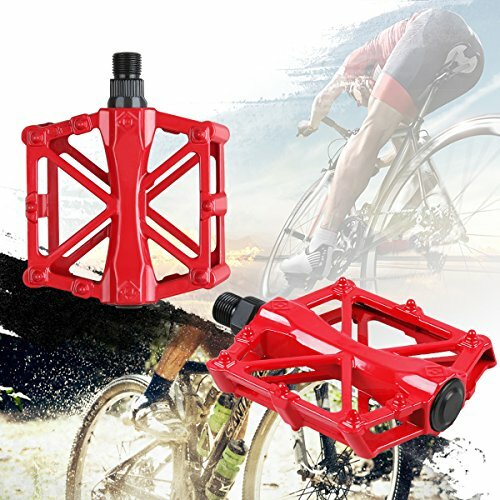 UNIVERSAL BIKE PEDALS ? 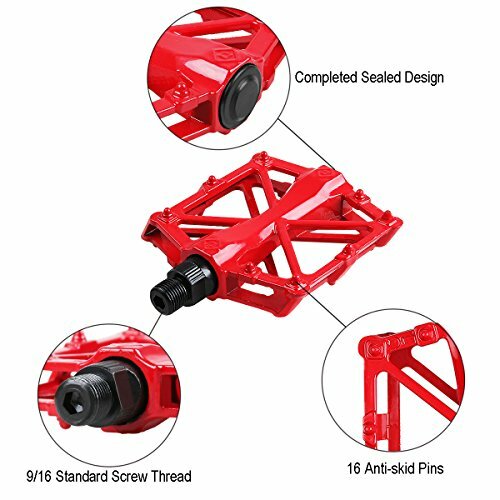 These universal pedals use standard 9/16 inch screw thread. 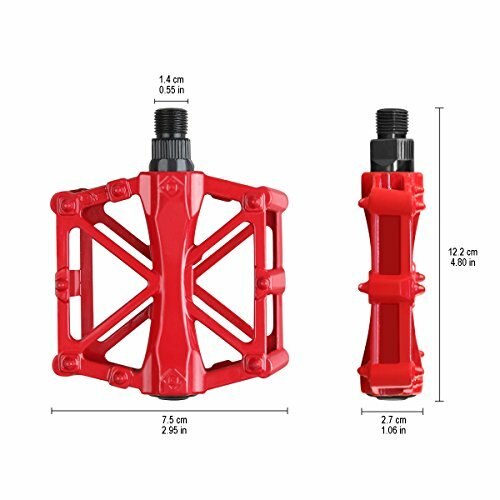 Perfect fit for most bikes like BMX Bike, MTB Bike, Cruisers Bicycle, Diamondback Bicycles, Folding Bike, Road Bike, Track Bike Unicycle, Urban Bike etc. ? 18-MONTH WARRANTY ? Unconditional 18-month warranty on bike pedals.